Until today, I had not had Funfetti cake in more than four years. That’s depressing for a few reasons: 1. Before I was diagnosed with celiac, I was in love with Funfetti cake. Any birthday, any reason to make cake, it was always Funfetti. 2. Why have I not found a reason to make gluten-free funfetti at any point in the last four years?! 3. 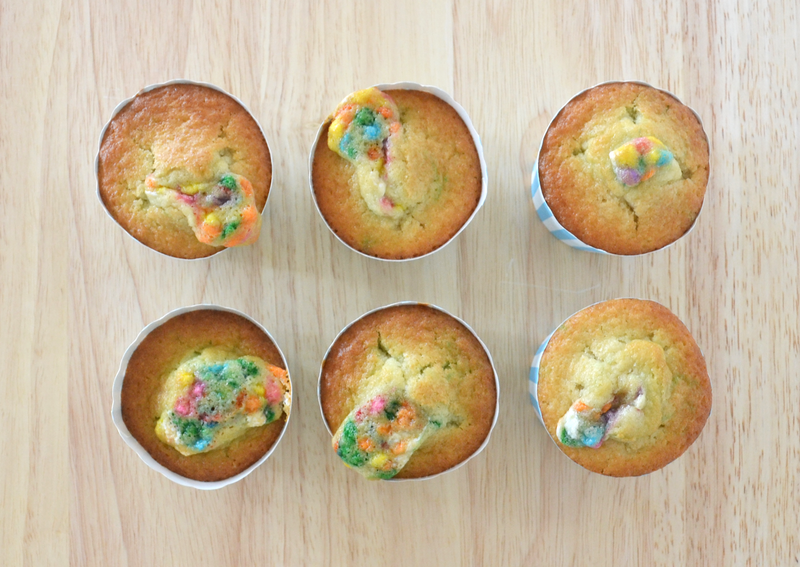 What is more happy-making than rainbow-speckled cake? Nothing. The answer is nothing. So when I accepted a new job last week (yayy!!) and was thinking of ways to celebrate, funfetti was obviously top of mind. I had a plan: I would use these adorable blue and white striped cupcake papers I found at Home Goods (aka heaven) and would make homemade frosting and it would be glorious and beautiful and perfect! Somehow — I have no idea why — my glorious gluten-free funfetti cupcakes erupted from the middle like a cake volcano. The good news? They still tasted great, and the texture wasn’t bad either. In my book, a delicious item that looks awful is WAY better than one that looks great but tastes like crap. Here’s the bad news: Because they didn’t work out perfectly, I’m not sharing the recipe today. You deserve the best, not Cupcakes that explode from the inside out! 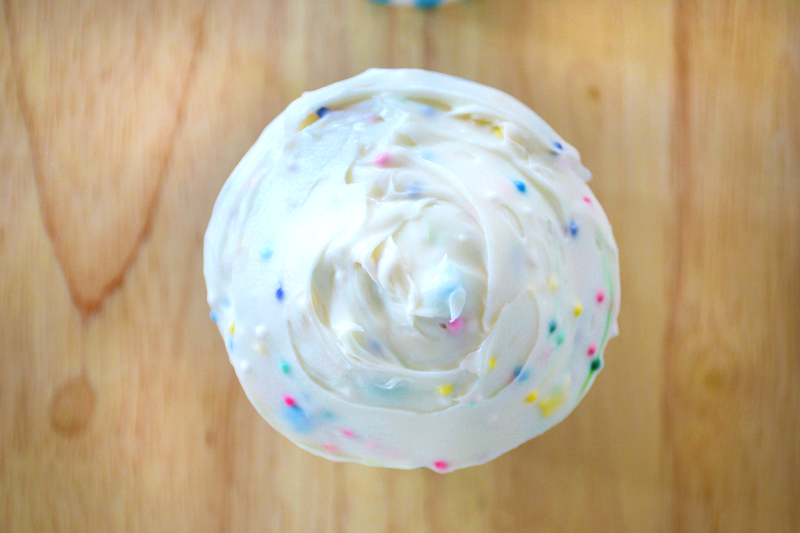 However, the next time I have something to celebrate, I will dutifully attempt the gluten-free funfetti cupcake again, and once I master it, I will share the recipe. Instead, I give you photos. Why? Because even though these don’t look great un-frosted, a good swirl of buttercream speckled with sprinkles covers all that up. And also because I wasn’t going to let one baking catastrophe ruin a chance at improving my camera skills. 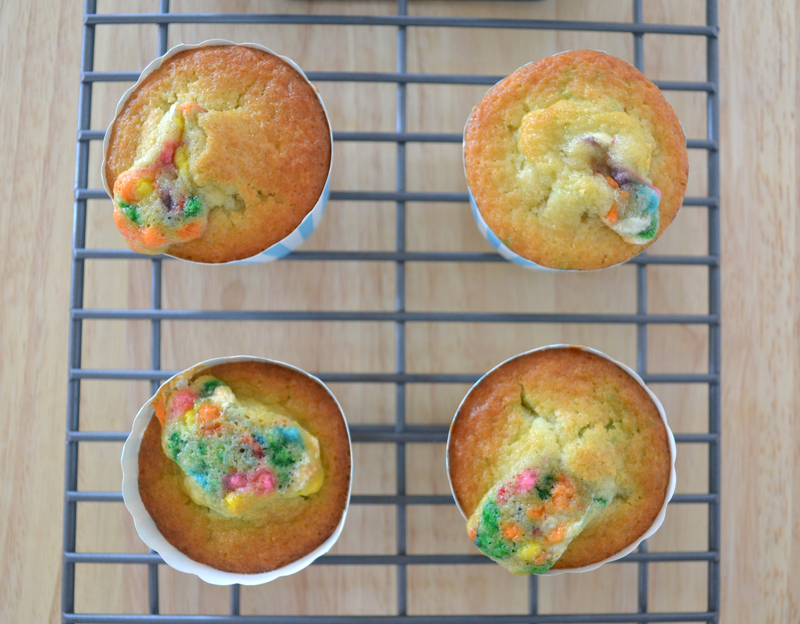 If you want to give these a shot yourself, here is the recipe I was roughly working with: Homemade Gluten Free Funfetti Cupcakes from Gluten Free on a Shoestring. If you give these a try, just follow her recipe instead of trying to mess with it like I did! P.S. That is most definitely not homemade buttercream. After the cake part exploded, I decided to cut my losses and go for the canned stuff. Don’t judge me — they are still delicious! Tags: Announcement, Cake, Celebrate, Cupcake, Funfetti, Photos. Bookmark the permalink. I wish I had a couple or 10 right NOW!